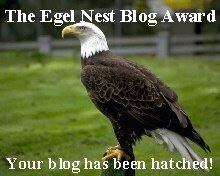 I've been so wrapped up in watching the baseball games, that I have not passed on the most recent award to any of the fantastic bloggers that I call friends! That's so sweet of you! Thank You!!! By the way...your header is absolutely ADORABLE!